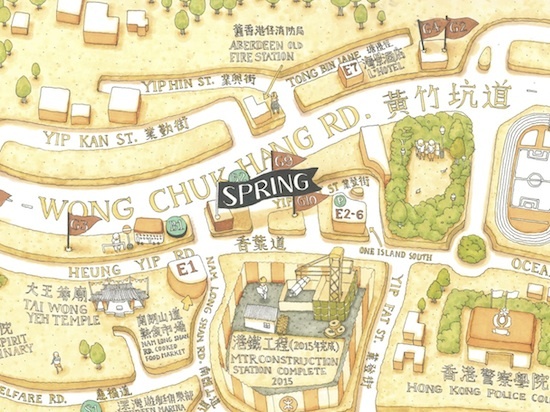 Each year, Spring publishes an artist’s hand-made map of Wong Chuk Hang that is meant to guide culturally-hungry (and also calorically-hungry) visitors around the neighbourhood, while also chronicling the evolution of a place. We want you to be able to find the gems in this vibrant area, so our map shows artspaces, eateries and a few of our beloved WCH landmarks. The 2015 map competition was won by Lokz Phoenix. 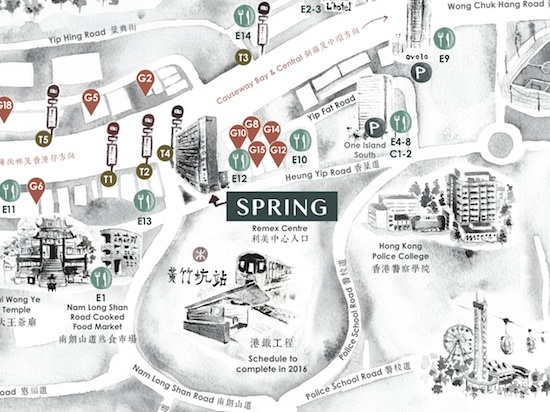 You will find her map printed on the back of Spring’s brochure, and can also download a digital file here. 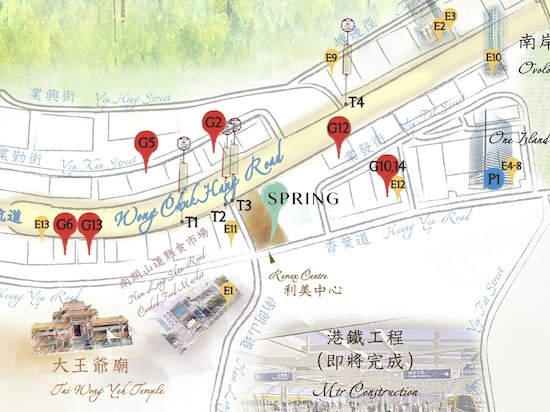 The maps of our previous winners, Vanessa Ma (2014) and Carmen Ng (2013) are available for view and download by clicking their names.